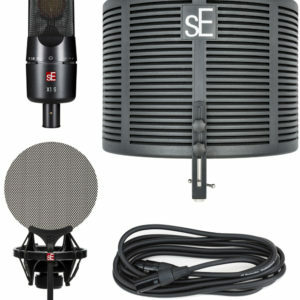 This suite of plug-ins adds a wealth of fresh sounds and effects to Studio One. Cherry-picked from the first names in virtual instruments and effects, each plug-in brings a different flavor of practical magic to your songs. These plug-ins aren’t gimmicky one-trick ponies — these are real-deal workhorses that you’ll rely on for countless mixes. 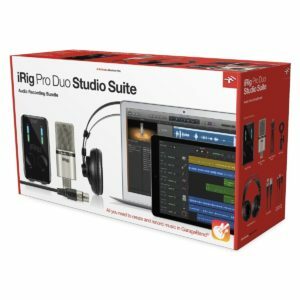 Turn your computer or mobile device into a complete recording studio with the iRig Pro Duo Studio Suite Deluxe. 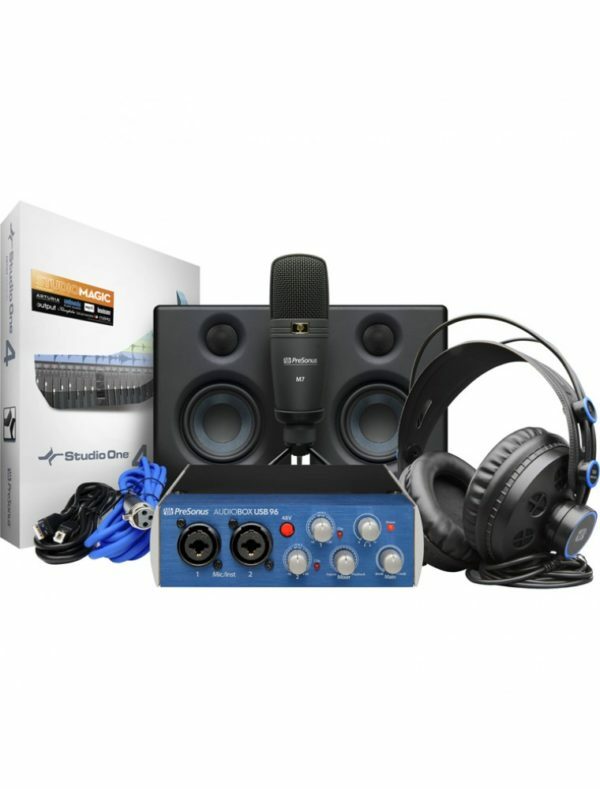 Everything you need to record piano, keyboards, guitars, vocals and other instruments is here, including a professional-grade audio interface, 37 full size keyboard MIDI controller, a studio-quality microphone, monitoring headphones, and all the cables and accessories you need. Totally plug-and-play on Mac/PC, iOS and Android, everything works seamlessly with GarageBand® and other popular recording applications. 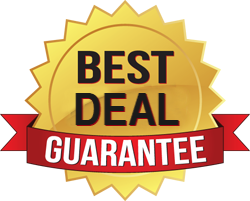 Plus, the bundle also includes all the GarageBand-compatible Mac/PC software plug-ins to take your recordings to the next level; from guitar amplifier and effects and microphone modeling to virtual instruments and high-end studio processors for mixing and mastering. With iRig Pro Duo Studio Suite Deluxe, it’s easy to create multitrack recordings, demos, podcasts, live recordings, and more. 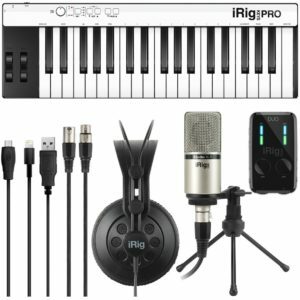 And best of all, iRig Pro Duo Studio Suite Deluxe works with your computer, tablet and your smartphone so you can make brilliant music on any device, anywhere, any time! 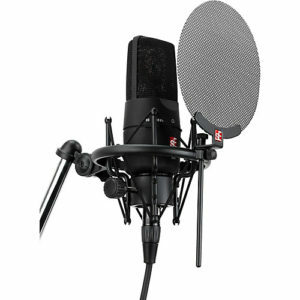 The X1 Vocal Pack gives you everything you need to start recording in your project or home studio. 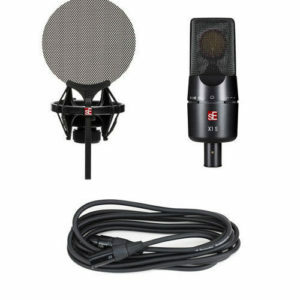 The X1 Vocal Pack includes all your recording essentials: an sE X1 condenser microphone, a shock mount, an sE Metal Pop Filter and a high-quality 3m mic cable. The unique shockmount mounting system makes for quick and easy setup. Record and Compose from Your Mobile Device! Whether you record onto your iPad, Android device, or laptop, the iRig PRO DUO Studio Suite includes all you need to make music on the go. The full frequency response of the iRig Mic Studio XLR captures the true essence of your vocals and acoustic instruments directly into your device, courtesy of the iRig PRO DUO interface. 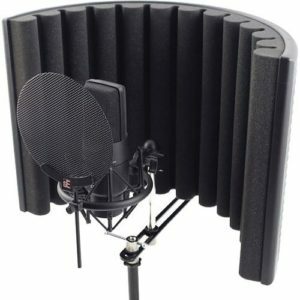 The PRO DUO gives you two channels of 24-bit digital audio, which is just right for recording your voice and a guitar, two singers at once, or a stereo image of your drum kit. 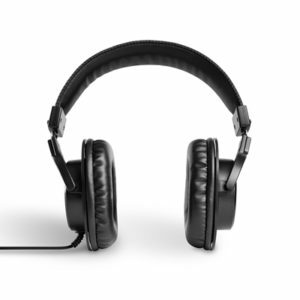 A set of iRig Headphones lets you monitor yourself accurately while you’re tracking on location. And a software bundle with virtual instruments, processors, and mastering software will help you make the most out of each project. 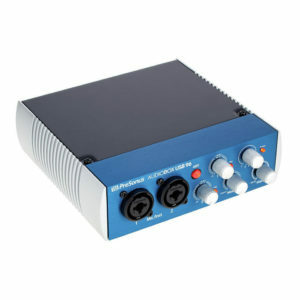 The AudioBox 96 from Presonus is a two-channel USB computer audio interface. 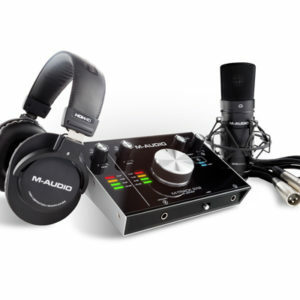 Designed to be portable, the unit utilizes 24-bit converters that sample at 44.1, 48, 88.1, or 96 kHz. 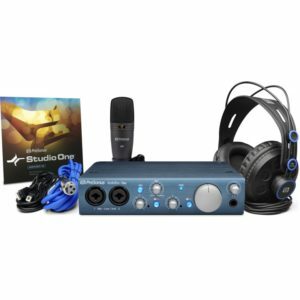 Two high-quality PreSonus microphone preamps with switchable 48V phantom power are also provided, as are combination jacks for 1/4″ or XLR inputs, MIDI I/O, and solid drivers. Whilst recording, you can achieve zero-latency monitoring with a knob that allows you to blend signal from the preamp with signal in your DAW, giving you a tailored balance of both sources. 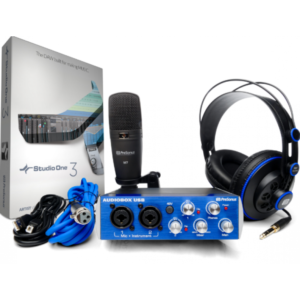 AudioBox iTwo Studio from Presonus is a complete mobile recording solution for Mac, Windows and iPad, and includes integrated software that allows for transferring songs wirelessly from the Capture Duo software for iPad to the Studio One software for additional editing and mixing. 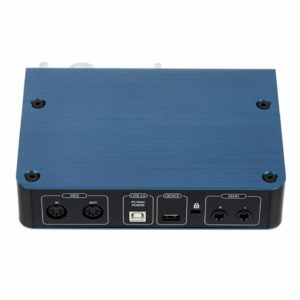 Perfect for mobile musicians, sound designers and podcasters, the USB 2.0 bus-powered AudioBox iTwo provides two channels of audio input and output.